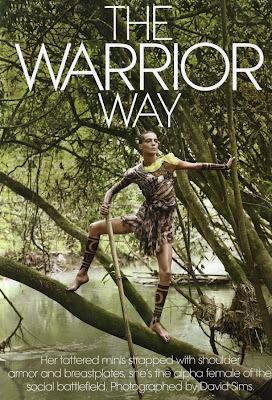 Here's the US version: "Avatar has entered the fashion world with this editorial entitled, “The Warrior Way” featuring Daria Werbowy photographed by David Sims and styled by Grace Coddington for Vogue US , March 2010." 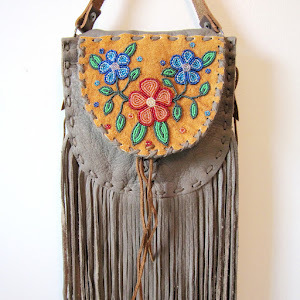 The visually stunning imagery of the film Avatar has designers and stylists inspired to 'fashion' their own versions of Warrior Chic - drawing off of stereotypical tropes of the huntress and Amazonian wild female. 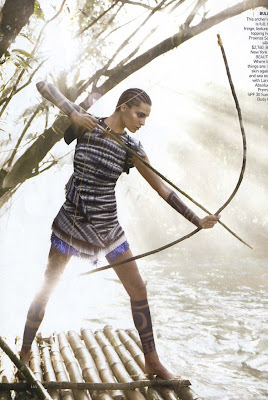 So while the New York Fashion Week shows displayed little Native American or tribal influences for Fall/Winter 2010, the stylist for this photo spread selected print dresses with tribal patterns and exotic accessories, and these (in combination with black body tattoo art and a 'jungle' setting) create quite a stunning visual. 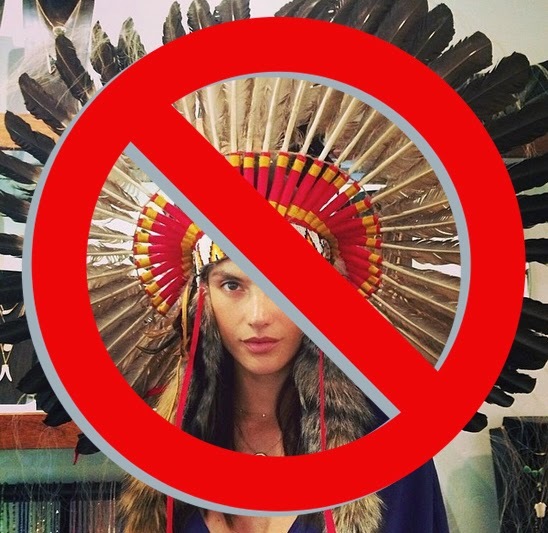 Alas, the Tribal Trend lives!